THE SIXTIES will launch with a 90-minute special episode, “The Assassination of JFK (1963),” broadcast on CNN/U.S. in November 2013, and timed with the observance of the 50th anniversary of the assassination of President John F. Kennedy. The inaugural episode will explore the key conclusions of the controversial Warren Commission, as well as the shocking impact of the assassination upon the nation, and upon American politics. The series will resume in April 2014 with episodes about the events and people that shaped our history and character as a nation. Episodes will focus on the indelible impact of music and technology of the era, drugs, “free love”, and rock and roll. Key moments of the era will be revealed and explored through archival newsreel footage, personal movies, and interviews with eyewitnesses to history. Expert commentary from historians, including David McCullough, Robert Dallek, and Robert Caro, as well as recollections from people whose lives intersected with destiny, such as Dan Rather, Robert MacNeil, and others, will infuse new relevance to the cultural touchstones at the center of each episode. 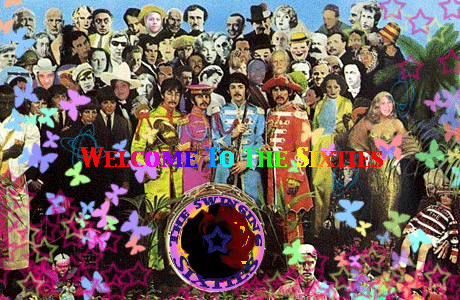 The Sixties is a time period that has been covered numerous times. This collaboration promises to give a unique peek into the events of the decade and make you feel a part of the history. From music, world highlights to the American political animal, the series will definitely be a centerpiece for water cooler talk. This entry was posted on Tuesday, September 17th, 2013 at 2:48 pm	and is filed under Film, News, Television. You can follow any responses to this entry through the RSS 2.0 feed. You can skip to the end and leave a response. Pinging is currently not allowed. « Top 3 Death Scenes In Movies! !